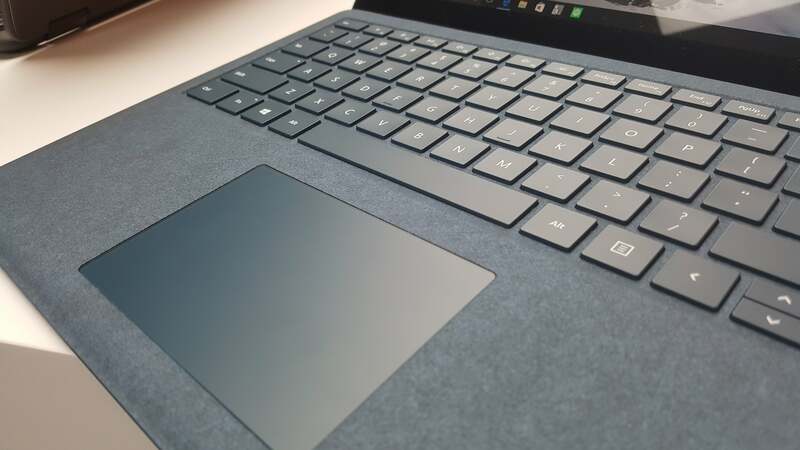 Until we can test the Surface Laptop thoroughly, we take a close look at what the specs say. With the debut of the Surface Laptop, Microsoft has a stylish cousin to its brawny Surface Book—similarly shaped, but very different otherwise. It can be a tough choice if both premium products have caught your eye. We haven't tested the Surface Laptop yet, but it's on preorder leading up to its June 15 ship date. Until we can review it, we can take a look at the specs and help you consider the two choices more closely. Let’s start by talking about what makes each Surface its own device. The features table below (click to enlarge) lays out the details for the regular Surface Book, the Surface Book with Performance Base, and the Surface Laptop. The operating system is a big difference. Microsoft built the Surface Book around Windows 10 Pro, with a suite of productivity components. 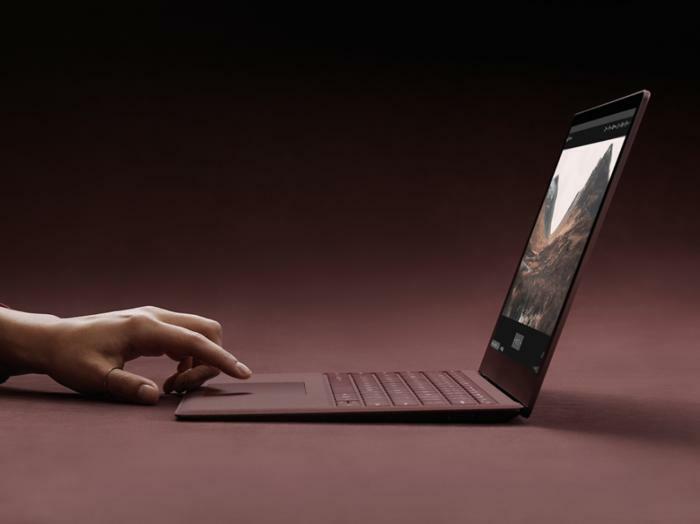 The Surface Laptop, on the other hand, ships with Microsoft’s new Windows 10 S operating system, designed to straddle the divide between an educational environment and the working world. Microsoft also provides an upgrade path from Windows 10 S to Windows 10 Pro. The Surface Book’s hinge folds almost flat, but the laptop will feel too thick for some. Design involves more dramatic differences. 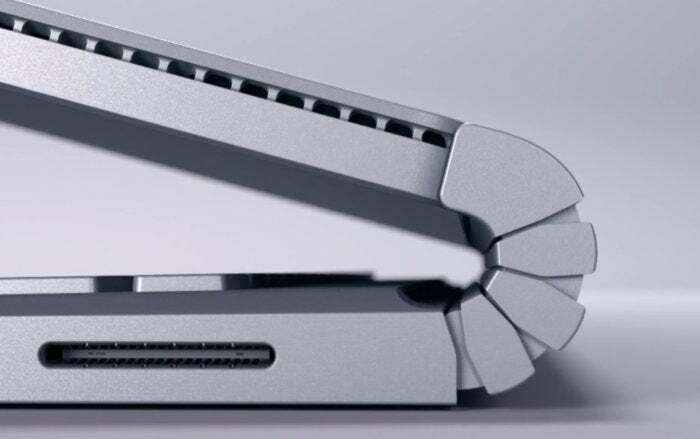 Because the Surface Book’s signature Dynamic Fulcrum hinge doesn’t fold flat, the Book can feel somewhat thick and clunky, especially compared to the Surface Laptop's svelte 0.57-inch profile. Weight follows suit: Compared to the Surface Book with Performance Base (3.63 pounds), the 2.76-pound Laptop shaves off nearly a pound. The Surface Book's advantage, of course, is that it's a 2-in-1 whose display detaches to become a tablet. The Surface Laptop has no tablet option, not even a 360-degree hinge to enable a tablet mode. Habitual pen users should also be aware that the Surface Book includes a Surface Pen, while the Surface Laptop does not. The Surface Laptop reclines about as much as the Surface Book, but it can't turn into a tablet like the Surface Book can. Newer components are one way the Surface Laptop shines. Microsoft’s Surface Book was originally built in 2015 and uses an older Skylake processor. Microsoft's 2016 Performance Base refresh affected only the discrete GPU. The Surface Laptop opts for Intel’s most current Kaby Lake chip, but graphics are integrated. Other cut corners on the Surface Laptop include smaller storage options, plus a lower-resolution display and camera. Finally, there’s battery life. Microsoft promises a whopping 14.5 hours of battery life from the Surface Laptop. If you opt for the high-end Surface Book (with the Performance Base) you’ll actually get more: 16 hours. In either case, though, you’ll probably be a very satisfied customer. Frankly, neither the Surface Book nor the Laptop is particularly affordable. At $999, though, Microsoft has positioned the Surface Laptop as an alternative to the Apple Macbook Airs that are a common sight around campus. The Surface Book, meanwhile, ranges from pricey to insanely expensive. Even though this story compares the Surface Book to the Surface Laptop, anyone willing to spend upwards of $3,300 should also seek out other, more updated options. Right now, the Surface Book offers many more choices than the Surface Laptop. Although we have yet to test it, we would advise you to avoid preordering the two cheapest Surface Laptops, if only because their 4GB of RAM is merely adequate for today's apps, let alone tomorrow's. As my colleagues have pointed out, collegiate life is about exploration, and skating by with 4GB of memory over the course of four years seems risky. For that reason, we’d recommend starting with the $1,599 Core i7/8GB/256GB Surface Laptop as your minimum option. That puts it much more on a par with the Surface Book, which offers 8GB of memory from top to bottom. The Surface Laptop comes in four colors: Burgundy, Platinum, Cobalt Blue, and Graphite Gold. The Surface Book offers just one color, aluminum. Though there’s no version of the Surface Laptop that directly compares to the Surface Book, on paper the former seems to offer better bang for the buck. Consider the Core i7 (Kaby Lake)/8GB RAM/256GB SSD model of the Laptop: At $1,599, it’s about $800 cheaper than an “identical” Surface Book model. We'd vastly prefer that Surface Book because of its discrete GPU (something the Laptop doesn’t offer), but it's also stuck with that older Skylake chip. The $800 difference is a ton. Eventually, we hope Microsoft adds a Core m option to the Surface Laptop—nudging down performance a bit, certainly, but probably lowering the price as well. Competing laptops like the HP Spectre x360 (2017) arguably offer a far better option at the $1,200 to $1,300 price point. We can already make some preliminary assessments of the Surface Laptop's user experience based on our brief time with it at the launch. Both the Surface Book (which we've used extensively) and the Surface Laptop feel solid in the hand, and can be supported by holding the base. I can’t say yet how well the Laptop handles lap typing, though it certainly seems sturdy enough. 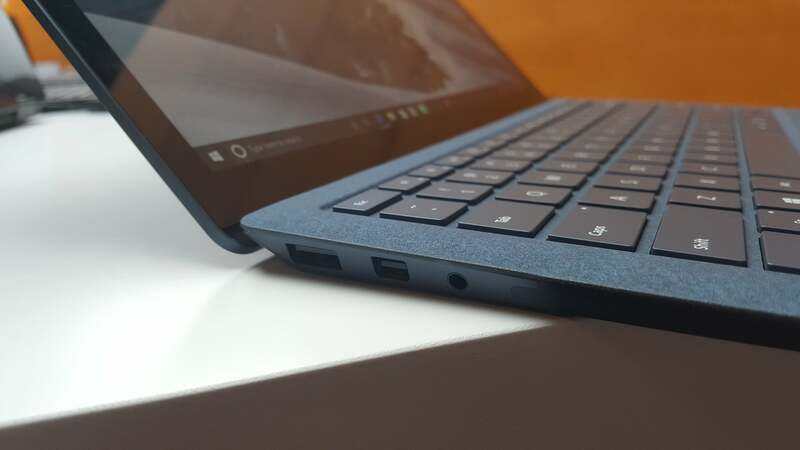 I have no issue with the Surface Laptop's Alcantara-clad keyboard, which reminds me of the Surface Pro 4's Premium Type Cover. The trackpad and keyboard on both are excellent. The Surface Laptop’s touchpad and keyboard feel very much like the Surface Pro 4. A significant downside to the Surface Laptop is its limited connectivity, especially the single USB 3.0 Type-A port (and no USB-C). More and more devices—heck, even Microsoft’s aged Lumia 950XL phone—have moved to USB-C for both charging and I/O connectivity. The Surface Book has no USB-C, but at least it has two USB 3.0 Type A connectors. Unfortunately, the Surface Laptop has a distinct lack of expansion slots. Microsoft remains committed to its Surface connector, which allows Surface owners to share chargers and connect to Microsoft’s Surface Dock. That accessory adds an additional four USB 3.0 ports, two miniDP ports, and gigabit ethernet—but it costs an additional $200, too. Inking works well with the Surface Pen that's included with the Surface Book, but you’ll have to buy one for the Surface Laptop. Both devices also work with the Surface Dial, though you’re not able to use the Dial onscreen with either. Note that the Book also has a higher-resolution front-facing camera as well as a rear camera. If you plan to take pictures with a tablet, that may affect your decision. Choosing between the Surface Book and Surface Laptop may come down to price for most people, but there's far more nuance to their differences: brawny vs. thin-and-light design, feature-stuffed vs. curated configuration, and distinctive features like the Surface Book's detachable display or the Surface Laptop's Alcantara-clad keyboard. Clearly, the Surface Laptop offers a more up-to-date mix of components, an advantage the Surface Book could eliminate if Microsoft did a major refresh. Further consideration awaits our full review, which we hope to post in June. This story, "Surface Laptop vs. 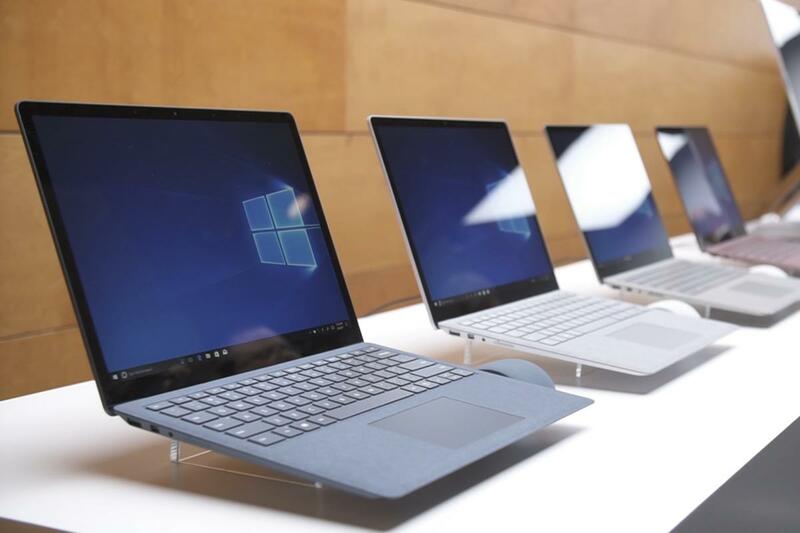 Surface Book: The prices and features of two premium laptops, compared" was originally published by PCWorld.